A lifelong veteran of the watch industry, Rozenski had been involved with both manufacturing and distribution, but never retailing. What changed to make this possible? "The Internet," he explained. "It allows us the opportunity to connect directly with the final consumer in ways that were never possible before, and facilitates the interaction." This enabled him to take his vision directly to the market, and create watches that combined his experiences as both a recreational pilot and a watch manufacturer. 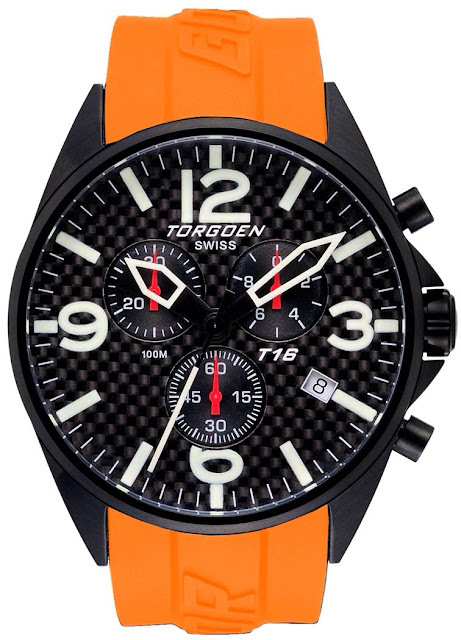 "Torgoen was created with the goal of supplying professional pilot watches using the highest quality Swiss movements. 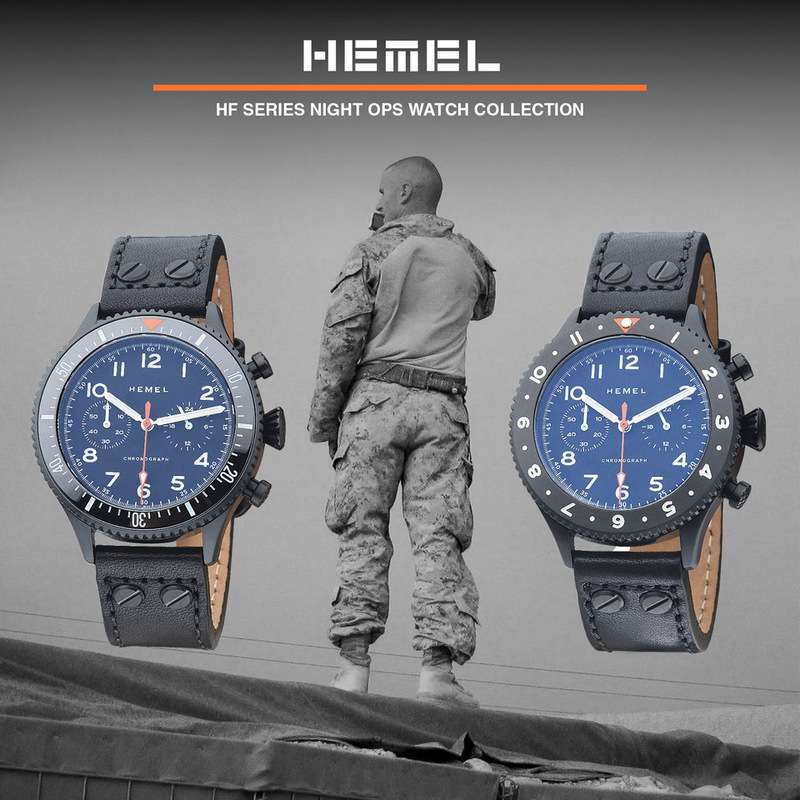 It was planned to include aviation features such as E6B slide rule flight computers, and UTC or GMT dual time hands that display time in military format." It appears that Rozenski achieved this goal. 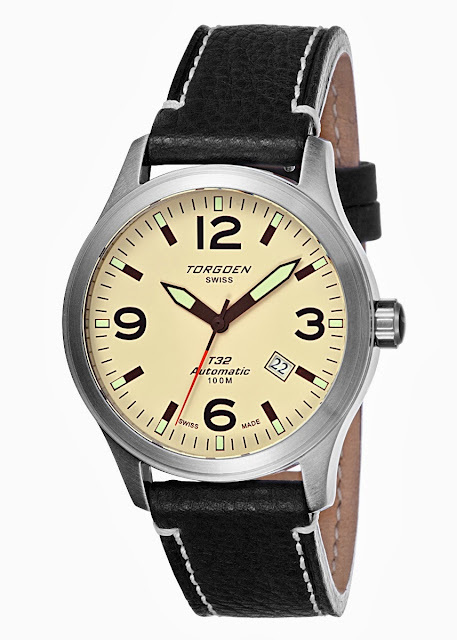 Do a quick search for Torgoen retailers and you will discover they are sold at traditional watch retailers and also through a large number of dedicated aviation supply shops. I asked him a chicken and egg question: are Torgoens pilot watches that appeal to others, or sport watches that happen to have aviation roots? The answer is, both. "By following trends and people's interests by looking at the number of searches in Google for Aviation or pilot watches, as well as number of discussions in watch related blogs and forums, we can see that our target audience is wide and growing," he said. "The definition of aviation watches includes of several aspects, and we offer in our range different models, which answer different directions. You can find among our buyers people who appreciate the vintage look of some of the watches, others who relate to the more military format, and somr who are looking for specific technical features such as GMT or dual time, which I find very useful myself." Aviation is not just a design concept at Torgoen. It is central to the brand's identity, and a personal passion for Rozenski, a fully qualified single engine pilot. "I few mainly Cessna 172 but also Beechcraft, Diamond and Mooney," he said. "I don’t fly anymore and I regret not flying. I may try to come back to it. The problem is that it requires more time than I have, but maybe that is a bad excuse." I asked Rozenski about the development of new models, and what specific elements drive it: market trends, customer feedback, or perhaps something more personal? "We are proud to be a brand that focuses and specializes in aviation," he replied, "this makes our designers think and create the best value for our customers." He continued, "The design of Torgoen watches is not a question of either/or. It is all of the above. It is driven by market trends (e.g. size of cases went up and now they are going down again) as well as personal taste with inspiration from the cockpit, where you have clear and large markers and digits and very visible hands. I call this ergonomic design for ease of reading time by a brief glance that visually records an image of the current time in analog format. By the way, the analog format allows you to relate to time as a distance (or the time remaining) from current time to next full hour, or the distance (or the time that passed) from the previous full hour. This is in fact what we are looking for when we ask ourselves “what time is it?” These designs appeal not only to pilots but also to many people. 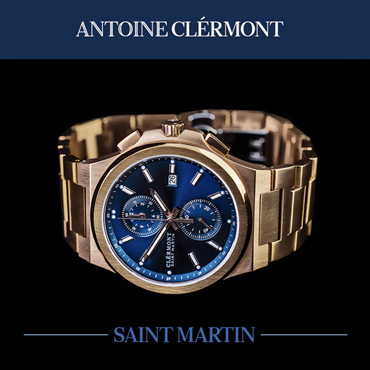 They are sporty looking watches with touches of casual wear and very readable (ergonomic). These features appeal to a broad population." He also explained the technical process of bringing a concept to production. "The design is a team effort of many people," he explained. "When we design a watch we go through a few necessary steps. We start by briefing, or in other words, defining the concept and inspirations. Secondly, designers render the brief into computer renderings showing few interpretations that are affected by their personality and skill. Next we make remarks, changes, and add or subtract from the renderings, then we go for a second round of renderings. This process continues until all members of the team are satisfied with the results. Next we do prototyping where we make, what we call, handmade samples. These are not really handmade, but rather involve technical drawings and CNC (Computer Numeric Control) machining of the case and dials, hands and bands and a make a dummy (without movement) samples. If necessary we change something that didn’t come out right and we go for another round of prototyping. Next we go for production. This process is quite long but necessary to come up with the right design and attention to detail that is important to us." While many of the designs are inspired by aircraft, a few have come from other pursuits such as scuba diving and auto racing. Being a gear head myself, I was pleased to see the company's sponsorship of young auto racing drivers in Formula Renault and Ginetta Junior in Europe, and the Star Mazda series here in the U.S. I asked Rozenski about the connection between aviation and motor racing, and his response was enthusiastic. "We surely intend to continue to do both racing and aviation since both drivers of planes and racing cars are considered to be pilots. 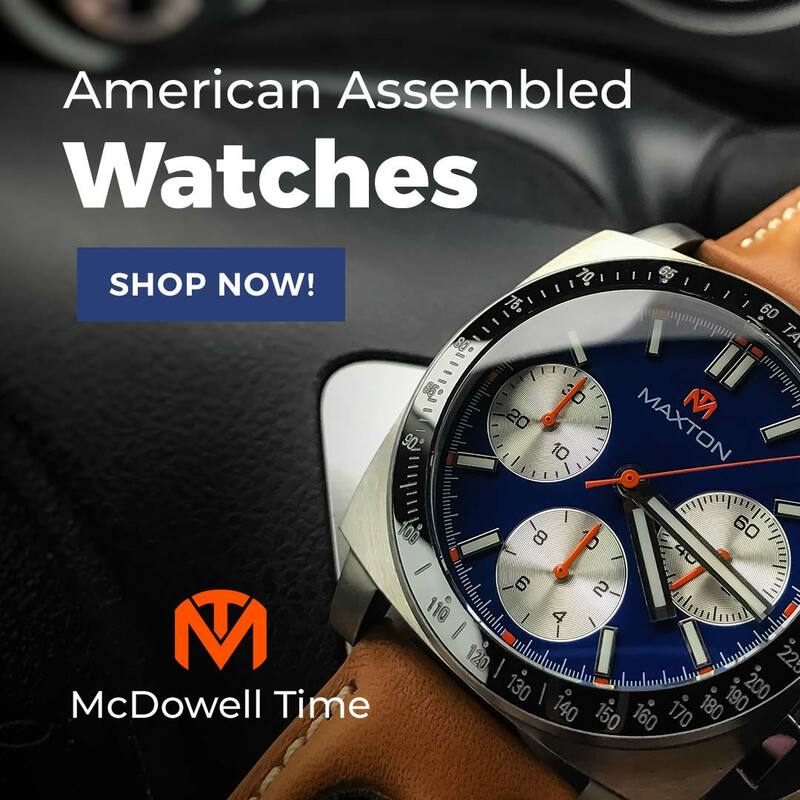 Both these worlds reflect our brand spirit and values of using high quality materials, supplying functional features, and getting inspiration to the watches design." Will we see more auto/aircraft crossovers like the T16/T18 chronographs? Yes, says Rozenski, "We are working to make more variations of the T16, which happens to be our best selling series currently." Another recent development was the release of Torgoen's first automatic, the T32, powered by a Valanvron movement. I asked Rozenski for some details. "The Valanvron VAL-24 is an ETA 2824-compatible automatic movement." He elaborated, "The ébauches are reassembled in Switzerland with at least 50% Swiss parts, and the movement is inspected in Switzerland. Like the 2824, the VAL-24 is 25.60 mm in diameter and 4.60 mm high. It includes hours, minutes, and sweep second and is self-winding with ball bearings. It has a quickest date, hacking second hand, and Novodiac shock absorption. Also like the 2824, the VAL-24 beats at 28,800 vibrations per hour and has 25 jewels." In closing, I asked what we might see from Torgoen in the future, and the answer was twofold. On the one hand, Torgoen is taking the Internet medium that enabled its creation to the next level. "We are now working to strengthen our connection with our end users so we can be closer to their demands, tastes and supply a better shopping experience," he says. "We invite our customers to reach us directly through our Facebook or Twitter accounts and get their feedback. A new web site is being built as well, which will offer an upgraded buying process." As for watches themselves, Rozenski left us with a teaser. "We are about to launch new series soon. I still can't elaborate on this, but we are excited about it and suggest you follow us." 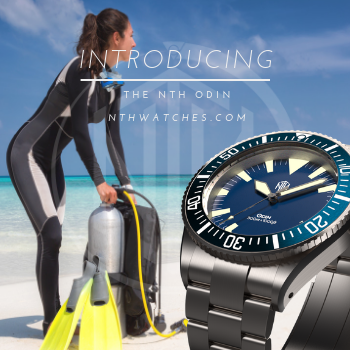 The Time Bum will certainly keep his eye out for new Torgoens, and if you would like to do so yourself, you can follow them @TorgoenWatches on Twitter, /Torgoen on Facebook, and sign up for their newsletter on Torgoen.com. In the mean time, have a look a my review of the T10 and stay tuned for a review of the T18.